Whitnessing the demise of others is something that has fascinated Stewart since the beginning of his career as an artist. 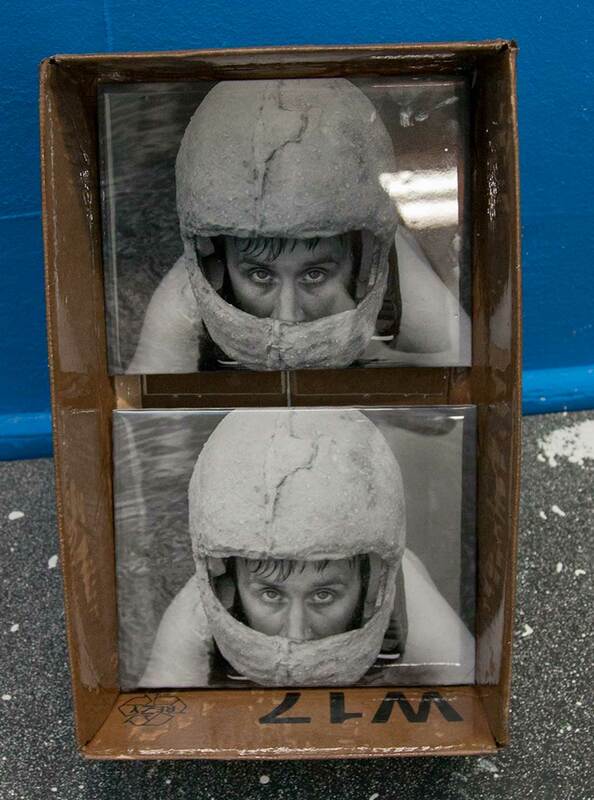 In series of photo works made with large format field camera and a simulated concrete helmet. Fraser Stewart is seen in swimming in deep water. It is through the melancholy expression on his face that the viewer is brought both to the humour and the tragic, found in many of the artists works. Like a stuntman ordered back time and time again back into the cold water.